Holiday Abstract Pastel Glowing Blurred Background Blur, Bokeh. Valentine Hearts. 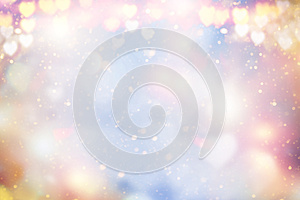 Photo title: Holiday abstract pastel glowing blurred background blur, bokeh. Valentine Hearts.